Beginning on October 28, 2017, all travelers flying to the US are subject to enhanced security measures. The new security procedures will apply to US citizens and non-US citizens alike. Make sure to allow yourself plenty of time to check in for your flight when you come home to the States! What are the Enhanced Security Measures for US-Bound Travelers? The Department of Homeland Security announced in June 2017 that new airport security measures would be required for all international flights that will land in the US. 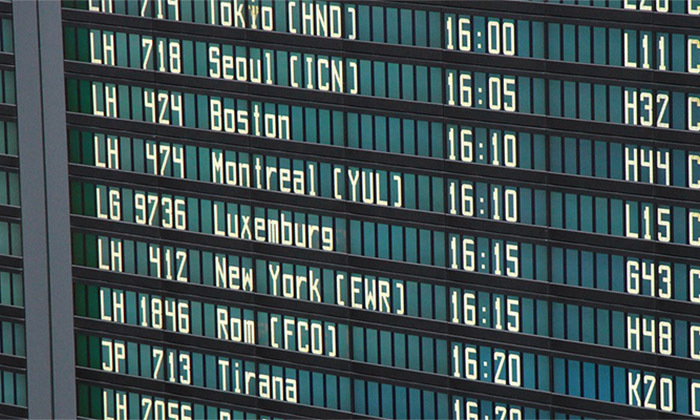 Airlines and airports were given several months to come in to compliance, with a deadline of October 28. Where are the Increased Security Measures Being Implemented? No matter where you board your flight to the US, you’ll encounter new security rules. Enhanced security protocols are now being used at every airport around the world that sends flights to the United States. That’s a total of 280 airports in 105 different countries! What Does the Enhanced Security Mean for Travelers? The biggest impact that these security upgrades will have on you as a traveler is that it may take more time to check in for your flight. Airlines are recommending that you arrive at the airport at least three hours before your flight. When you go through baggage screening, you should expect that your electronic devices will receive extra scrutiny. It’s best to take your phone, laptop, tablet, digital camera, and other items out of your bag. Put them in a separate bin for screening, apart from your bags, shoes, and jacket. One piece of good news is that the “laptop ban” has been lifted now that the enhanced security measures are in place. The “laptop ban” was put in place in late March, after US and UK intelligence agencies determined that explosives could easily be hidden in electronic devices. If you were on a flight to the US from one of ten airports in the Middle East or North Africa, you were not allowed to carry on any electronic item larger than a standard iPhone. In the US, electronics have also been getting increased scrutiny by airport security. When you go through TSA security at a US airport, you now need to take all electronic items larger than a cellphone out of your bags. Your laptop, camera, tablet, and other gadgets need to go in their own bin for x-ray screening. But there’s more good news for some of you! If you are a member of Global Entry, TSA Pre-Check, or other Trusted Traveler program, you can keep your devices inside your carry-on bags. « Traveling for the Holidays? Time for a Passport Check!